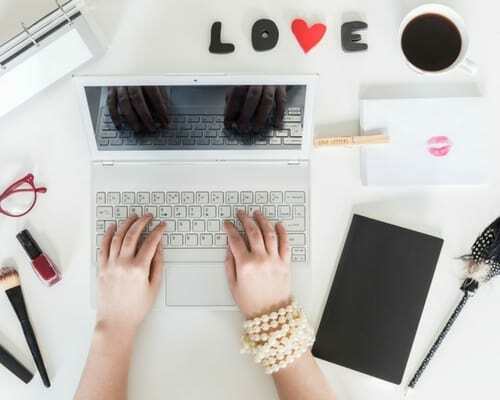 Last year, I compiled a list of the 50 best blogs by women, however over the past year I have met a ton of cool people on Twitter, and I have stumbled across some amazing blogs. So I thought it would be fun to make this an annual affair. Just like last year, I have decided not to feature any of the power bloggers like Heather Armstrong and Ree Drummond (even though they rock), but these blogs below have been my go-to resources for awesome information, a bit of humor and some fantastic recreational reading. I think you’re really going to like these – enjoy! And if you happen to be one of our top 50 bloggers, congratulations! Here are this year's best blogs by women! 1. Entrepreneur Chic – Your free home-based business, internet marketing, and social media strategies resource. 2. The Entreprenette Gazette – All the news that's fit to blog. 3. Indie Business Blog – Leadership and personal development for small business owners. 4. She Takes on the World – Create your career and live your dreams. 5. Indie Biz Chicks – For women who’d rather work for themselves, than work for the man. 6. Succeed as Your Own Boss – Tools and insights to help you launch and run a profitable small business. 7. Big Girl Branding – The place for entrepreneurs (and aspiring entrepreneurs) to come and sit a spell… learn a little something… and maybe experience a laugh or two. 8. The Mogul Mom – For moms running a business, raising a family and rocking both. 9. Diva Marketing Blog – An approach to marketing that’s fun, bold and savvy. 10. The Lip-Sticking Blog – Marketing to women online. 11. Katie Freiling.com – Integrating personal development with online marketing. 12. Market Mommy – How and where to market your mom-owned business. 13. SEO Chicks – The SEO blog with attitude. 14. Traffic Generation Café – Brings you the most profit-pulling free traffic generation tips, tricks, and resources, so that your website and business will go where no website has gone before. 15. Kommein – Is an Indo European word meaning “shared by all,” which, to me, kind of sums up the whole social media & community vibe. 16. Jennifer James Online – Social media for maximum exposure. 17. Like a Warm Cup of Coffee – Journey alongside other women as you seek to find the eternal value in who you are and in all that you do. 18. Women on the Fence – It’s time to get off the fence! It’s time to make up or break up. It’s time to quit your job. It’s time to enroll in medical school. It’s time to come out of the closet. It’s time to speak your truth. It’s time to start living your life! 19. Living My MoMent – Supporting businesses and blogs, one mom and dad at a time. 20. Mommy Perks –Parenting, small business, shopping, giveaways, and social media. 21. Market Mommies – Connecting moms so they can support each other and we help moms market their businesses & blogs. 22. The Work at Home Wife – Home Business Solutions and Internet Marketing Tactics. 23. Christian Moms Business Resource – A blog to help other moms start and promote their own small businesses from home. 24. Julie Anne Jones – Providing you with tools you need to succeed in your direct sales/party plan business. 25. Sales Moms Network – Direct sales advice, motivation, product review, giveaways and more! 26. The Party Plan Coach – Business tips, product reviews and the life of one busy WAHM. 27. I’m an Organizing Junkie – Living a life of simplicity and order. 28. Complete Organizing Solutions – Creating order – simplifying lives. 29. Morningside Mom – Parenting, politics, pondering and panicking about it all. 30. Mama Bird Diaries – Nothing has ever kicked my bum like motherhood. It’s exhausting. It’s frustrating. It’s strangely addictive. Now I understand why my mother loves me so much. 31. Nucking Futs Mama – Trying to find where my kid hid my last damn marble. 32. Pajamas and Coffee – Not your average Mommy Blogger. 33. Hormone Colored Days – I've been a dolphin trainer, corporate creativity trainer, and a potty trainer. Now I write, connect brands and bloggers and momimpact.com, and do all matter of mom-things. 34. Selfish Mom – I spend the rest of my time avoiding housework and not paying attention to my children raising independent, self-sufficient children. 35. Blonde Mom Blog – Just another manic mom day. 36. The Ohana Mama – Parenting dispatches from paradise. 37. Metropolitan Mama – Wife, Mama, Daring Dreamer. Meticulous List Maker. Gregarious Goal Setter. Aspiring Runner. Voracious Reader. 38. Ms. Single Mama – Has musings on life, love, and motherhood. 39. Conversations with Moms – Everyday conversations through a mom blog. 40. Theta Mom – Redefining the role of motherhood… one mom at a time. 41. Adventures in Baby Wearing – Writer and mom of four. 42. Baby Making Machine – The original pre-pregnancy and pregnancy blog of a “Future” Mama (now Mama). 43. So About What I Said – A daily inspiration and lifestyle blog explores my physical disability and my love of weddings, art, style, shopping, and photography. 44. Busy Bee Lifestyle – You’ll find inspiring and up-to-date ideas on entertaining, decorating, fashion, shopping, holidays, family, friendships and much more! 45. Scoutie Girl – The outside the box manual for creative living and mindful spending. 46. Mom Trends – Tips and trends for living a fashionable and fabulous life. 47. Picky Palate – I’m Jenny, the girl behind the computer and camera who spends lots of time in the kitchen loving every minute of it! 48. What to Cook When – When you need the perfect recipe… I got you covered! 49. Piece of Me – Just a wife, mom, blogger making my American dream a reality. 50. Simply Stacie – Product and book review, giveaways and more. Do you have a favorite blog that didn’t make the list? 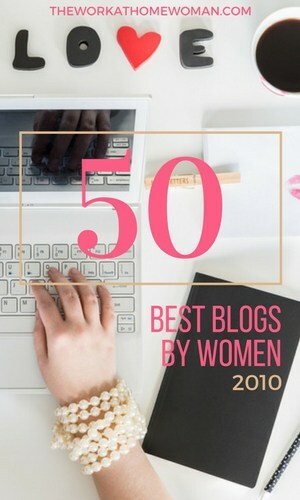 Feel free to share your favorites below and if you want to check out 2009’s Best Blogs by Women. It is starting to be a lot more challenging to get quality dofollow blogs and forums and web pages. And also how much unsolicited mail is receiving ridiculous. Meaning site owners are making use of far more anti–junk jacks. And much high-quality content get auto-flagged. Great list. I passed the list to my wife and she loves it. Thanks.